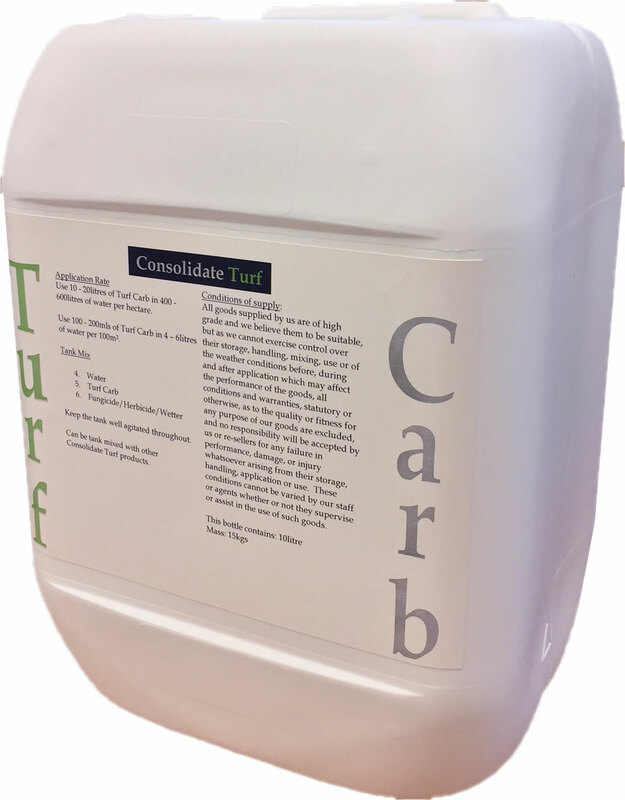 Turf Carb is complex liquid of sugars, bio stimulants, humic and fulvic acids and is part of the Consolidate Turf Anti-Stress range. 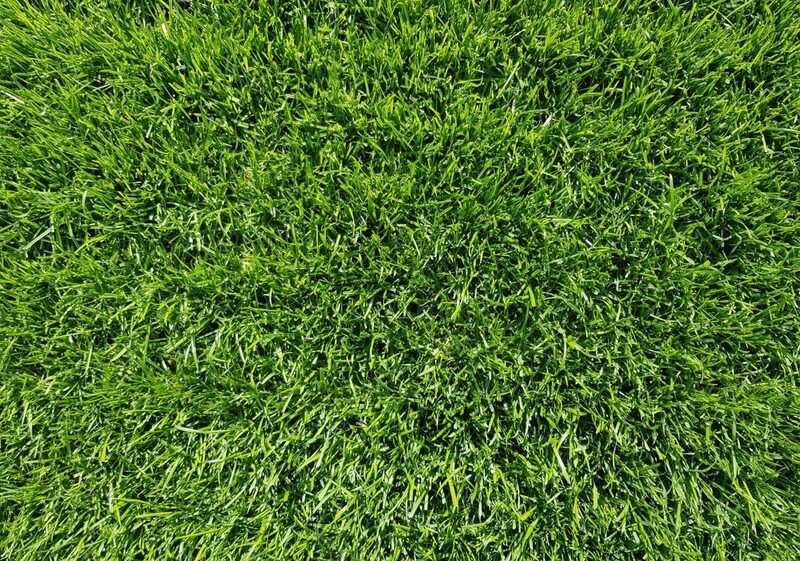 Turf managers have always faced ongoing challenges, never more so than in today’s fast paced, results-based environments. Both biotic and abiotic stresses are continually pushing us to seek out remedies and quick fixes. 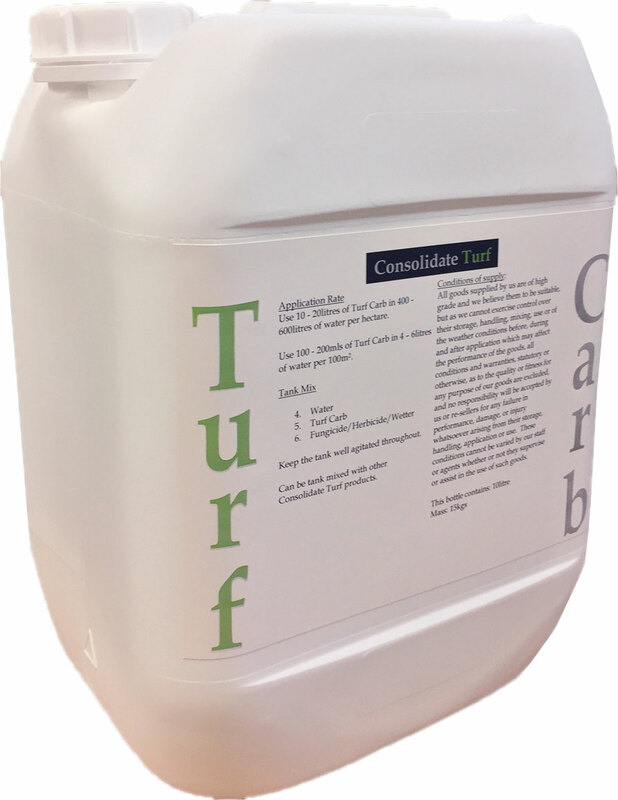 Turf Carb promotes a healthy functioning plant. 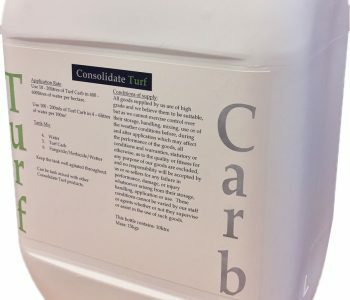 It contains bio stimulants which reduce the need for extra seaweed applications and helps to improve plant vigour, colour and health and vitality in the sward. 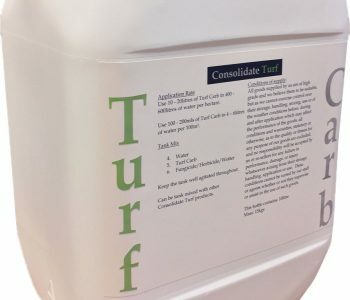 The sugars in Turf Carb perform various functions, not only do they provide an excellent food source for the naturally occurring microbes, they also have the ability to improve dry matter within the leaf. Excess water allows disease to actively mobilise itself, improving the dry matter can combat this and significantly reduce the risk of an outbreak. With water reduction in the leaf, the plant also stands up to lower temperatures culminating in less damage. Improved disease and frost tolerance. 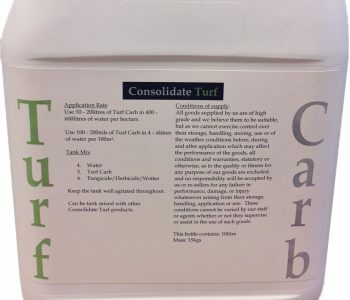 Use 10 – 20 litres of Turf Carb in 400 – 600 litres of water per hectare. 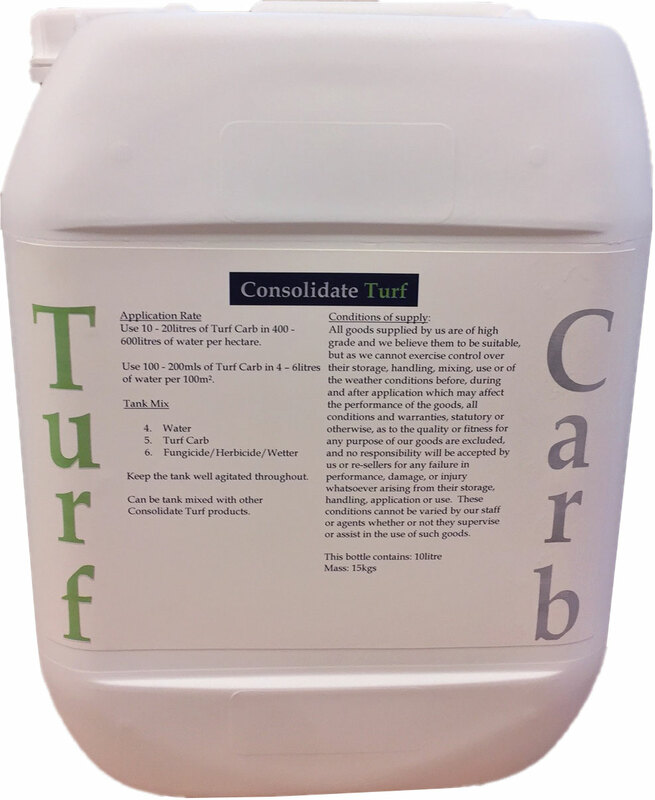 Use 100 – 200mls of Turf Carb in 4 – 6 litres of water per 100m2.